After NBC 4 New York's I-Team report in March revealing that health insurers were denying coverage to autistic children, New York lawmakers have approved a reform that would force insurance companies to pay up. The bill, passed by both the New York state Senate and Assembly, demands insurers cover a key autism therapy called Applied Behavior Analysis, or ABA. Back in March, the I-Team revealed an administrative loophole that rendered Gov. 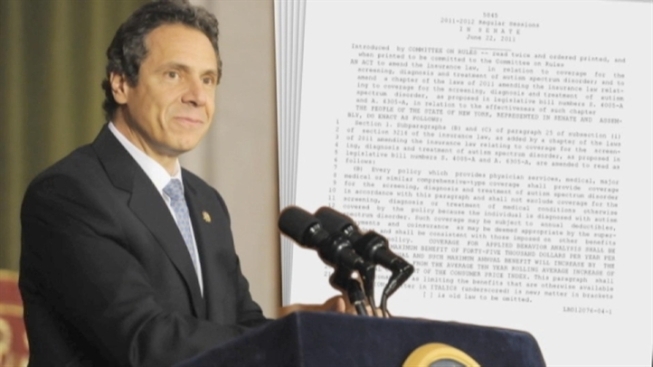 Andrew Cuomo’s landmark autism insurance law much less generous than many parents expected. The rule allowed insurance firms to deny reimbursements if an ABA provider doesn’t hold a state license. 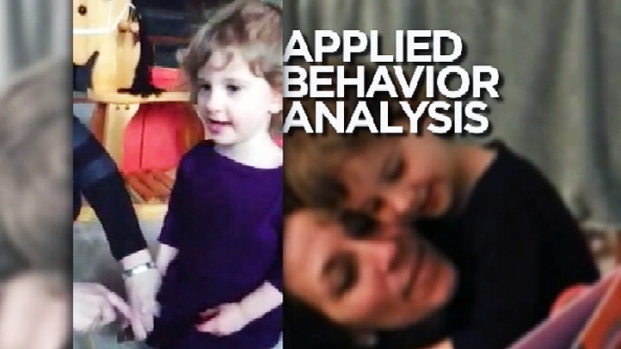 The problem is, New York state doesn’t offer a license specifically for behavior analysts. Legislation that was supposed to guarantee insurance coverage for expensive autism treatments for hundreds, and possibly thousands, of autistic children is failing families because of an 11th-hour amendment added in Albany, the I-Team has discovered. Chris Glorioso reports. In 2011, Cuomo championed the autism insurance bill as one of the most expansive in the nation, but just before it went into effect, the New York Department of Financial Services implemented an emergency amendment. The regulation allowed insurance companies to deny coverage if an ABA provider does not also hold an additional license for psychiatry, psychology, social work or similar professions. Jamie Pagliaro, co-founder of Rethink Autism, a company that produces ABA instructional videos, estimates there are 700 board-certified behavior analysts in New York, but perhaps fewer than 50 of them hold additional state licenses in psychiatry or social work. “This drastically reduces the number of providers that are able to deliver this treatment and get reimbursed through health insurance in New York,” Pagliaro said. After the I-Team report revealed the imbalance, State Sen. Charles J. Fuschillo, Jr. (R-Merrick) proposed a law that would establish a new license, specifically for behavior analysts. With such a license in place, insurance companies would have no grounds to deny coverage for autistic kids. After his reform bill passed on Monday, Fuschillo issued a statement denouncing the last minute administrative rule which limited the original legislation’s impact. “New York’s autism insurance reform law was authored to prevent families from having to spend tens of thousands of dollars out of pocket on treatments and therapies for their loved ones with autism," Fuschillo said. "Unfortunately, regulations were implemented contrary to the law’s intent which prevent many families from receiving these benefits."